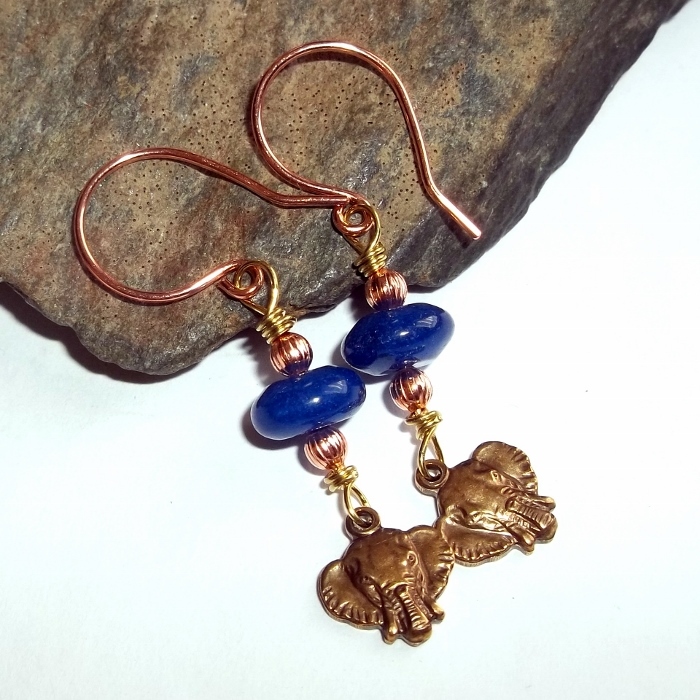 Blue jade gemstones set on handcrafted, hammered copper and brass earrings with an elephant charm. Jade is a gemstone of luck. 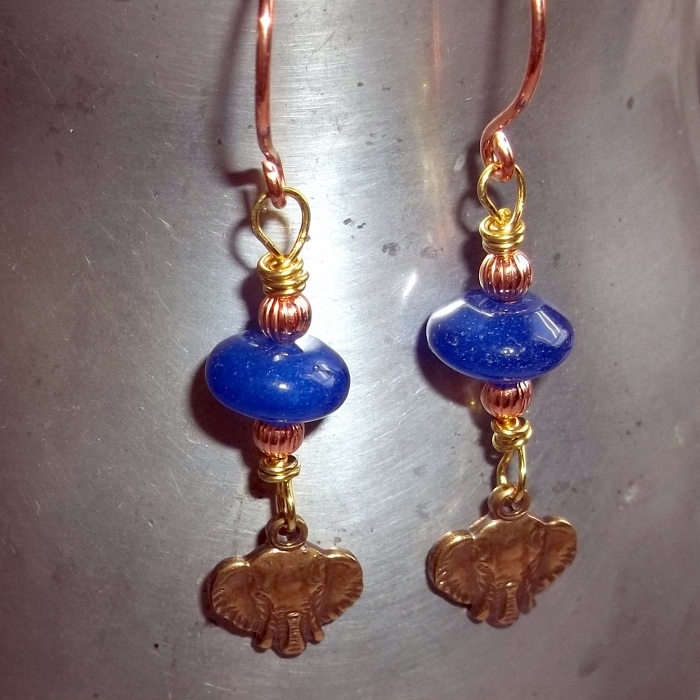 Blue jade is excellent for peace, reflection, serenity, and patience. 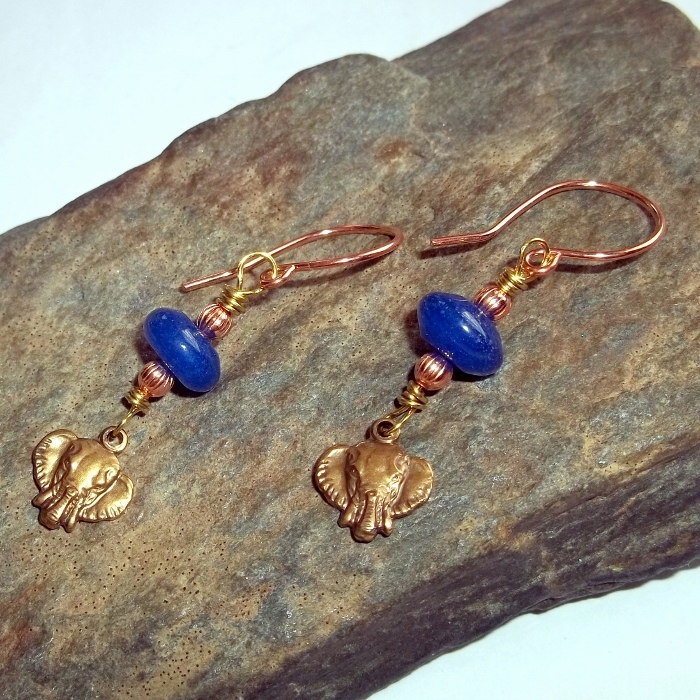 Ear wires are made from pure copper. 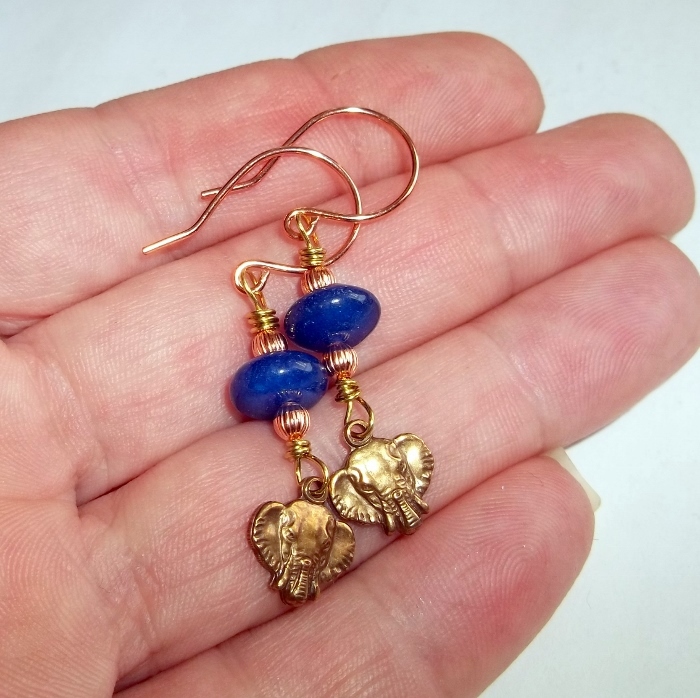 Elephant charms are brass, 10 mm x 10 mm. Jade gemstones are rondelles, 9 mm x 5 mm. Total length 1 3/4 inches.